The USCCA Instructor Certification course comprises both online training and two days in the classroom and includes discussions, lecture, hands-on breakout sessions, a live-fire exercise and shooting qualification. Michael Martin, author of Concealed Carry and Home Defense Fundamentals, leads the online e-learning course which is approximately 8 hours. Course instructors will cover useful teaching tips and tools, present student materials provided in the Instructor Toolkit, identify important elements within the curriculum, and lead discussions and presentations. The course will also touch upon proper business, financial management, and marketing for the course. The Instructor Toolkit includes: 10 copies of Concealed Carry and Home Defense Fundamentals; the complete 235-slide, seven-lesson PowerPoint presentation (download; physical DVD upon request); professional-quality classroom videos that enhance the subject being discussed; one classroom poster printed in high resolution color; 10 current issues of Concealed Carry Magazine; a USCCA instructor polo; and a USCCA range cap. USCCA will send you the kit following the completion of the Instructor course. This USCCA Instructor Certification Course will be offered at $597, per student. $250 will be paid up front for the toolkit and e-learning package via the USCCA. The remaining *$347 (*additional range fees may apply) will be paid to the Training Counselor prior to the class dates. When ready to register for a class first you will need to follow the below steps. 1. Purchase the USCCA Instructor Toolkit and eLearning Course (contact member services at 877-577-4800). Cost: 250.00 Make sure to tell them you are taking your course with Carolann Puzio instructor # 1168069 to insure the 250.00 package fee. 2. Complete the online pre training/e-learning sessions and pass with a 90% or better. Avg time: 4-6 hrs Contact Instructor upon completion. 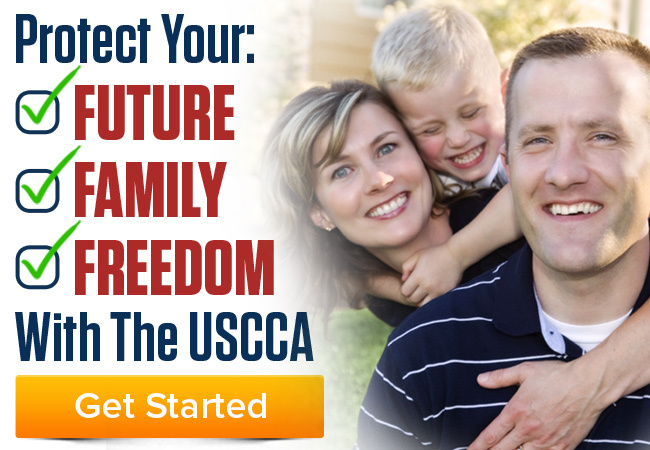 Optional but highly recommended- Join the USCCA as a member: USCCAclassoffer.com Enter the code of 8689. Attendance does not guarantee that you will be certified. if you do not meet the standards of the evaluations and practical exercises, you will be offered training and educational opportunities to help you complete the course successfully. Professional, instructor type clothing. No jeans or any other casual clothing. A quality waist mounted holster, made specifically for your handgun that can be concealed under clothing on a Strong Belt (No duty or competition belt rigs. no button release Serpa style holsters), 3 magazines, magazine pouches or pockets to keep in.